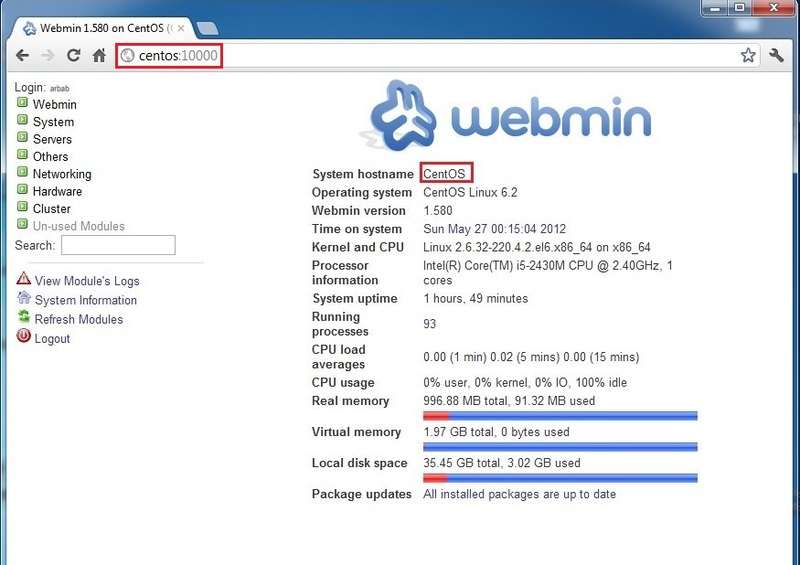 Webmin is installed now and you will be able to access it via a browser using, http://server-ip:10000. In my case it is,http://CentOS:10000. Merci beaucoup, le tuto est excellent et il marche à merveille! C’est parfait. Merci pour ton aide.